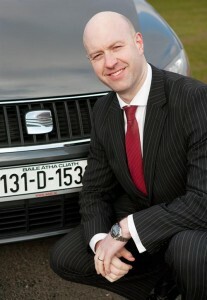 SEAT Ireland today announced year on year sales growth of over 20%. This excellent growth is supported by over 1,000 vehicle registrations so far in 2014 meaning SEAT is also enjoying a 20% increase in sales year to date. This strong start to the year follows on from an impressive 2013 which saw SEAT increase its overall sales by 62% enjoying a record 3% market share. SEAT’s consistent commitment to product development and continued investment in its dealer network has ensured sustained growth against a backdrop of industry uncertainty. Cian O’Brien, Director of SEAT Ireland commented; “At SEAT Ireland, we are confident that 2014 will be another big year for us and it is vital to continue our momentum from last year. I’m delighted at how well we have started and the important thing for us now is to keep moving forward. SEAT’s success is attributed to excellent service, leading efficiency and great value for money, principles which are extremely important to us.“SEAT is a very ambitious brand and we have already introduced superb new products this year including the SEAT Leon Sports Tourer in January while we look forward to the arrival of further new products this year, including the all new SEAT Leon Cupra in March. 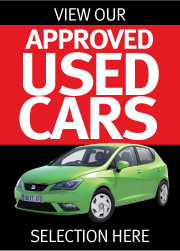 The competitive finance offers available through Volkswagen Bank continue to make SEAT an attractive consideration for customers that value excellent design coupled with great value for money”. SEAT is committed to expanding its dealer network with McCoy Motors and Cranley Cars of Dublin both recently joining the SEAT network as well as Adams of Glin in Limerick. For more information on the SEAT range log onto www.seat.ie.